We have been learning about the water cycle this month. We decided to do an experiment on evaporation. One of our girls, Dhay, designed this experiment! 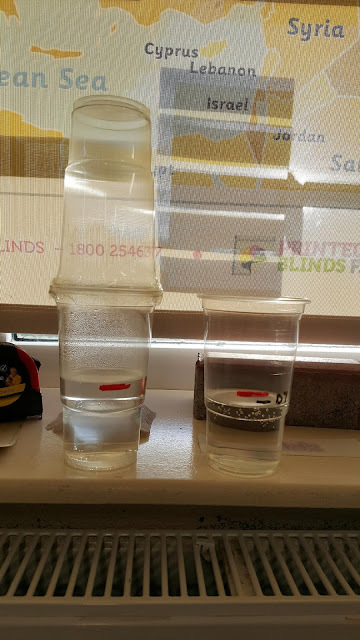 The cup on the right has lost water. The cup on the left has not lost water. We saw water droplets in the top cup that poured back into the bottom. We are monitoring it weekly.